Connect to PC(Win10, win8, win7) no need install USB driver now!!! High performance and more importantly low price for all your bussiness need. 1. LCD operator display, with 5rows X 20cols display capability. 2. Flexible keyboard up to 50Keys. 3. High -speed thermal printer. 4. One graphic store logo, and up to 10 hallo logos can be printed on receipt. 5. External devices support: Kitchen printer, scale, and customer display. 6. Automatic recognize 4 kinds of in-store barcode. (price label or weight label). 8. Customer management support(VIP member function). 9. PLU name can catch up to 20 characters. 10. PLU sale amount, quantity top25 report. 11. PLU profit analysis report., PLU safe stock report. 12. Histogram daily and PTD report. 13. The power supply can various from AC85 to AC265. 14. USB interface, PS/2 interface. Posted By: Shenzhen Zhongshou Business Machine Co.,Ltd. 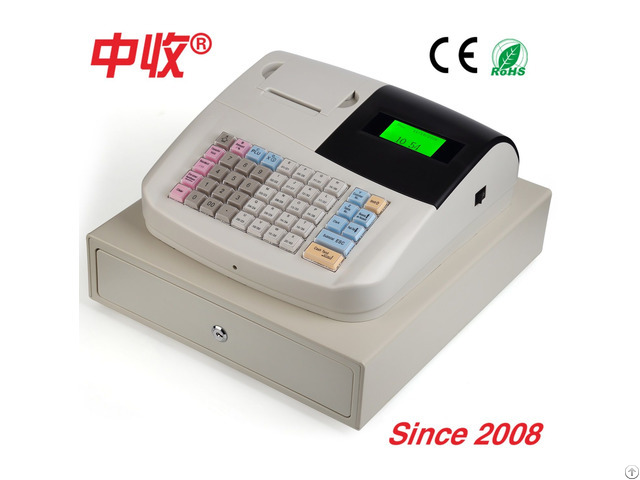 Business Description: Shenzhen Zhongshou Business Machine Co., Ltd(ECRCN) ,established on 2008,is a professional and leading electronic cash register manufacturer in China. We have worked in the ECR field for over 8 years, and made a wide range of high quality with low cost ECR products. Our main production line: general purpose cash register,Android based touch screen cash register,cash drawer, portable cash register,etc. 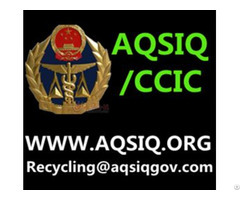 Our products enjoy a good reputation at home and abroad, owning high quality with CE, CCC, BIS, ROHS certificates. Traditional Chinese,English,Spanish,Italy,Faris and Vietnamese versions ECR have been used by overseas customers,any other languages can be transplanted also.We have strong ability to design new ECR according to customers' requirement, not only general ECR, but also fiscal ECR. Overseas OEM/ODM is welcome(software and hardware total solution).We can give you full technical support , good after-sale service and the best competitive price. Enjoy working with you! Welcome to inquiry!